Matt from Gilgamesh Brewing of Turner, Oregon, and the band Porches has been working with Ryan and Roger from the Oregon Public House. 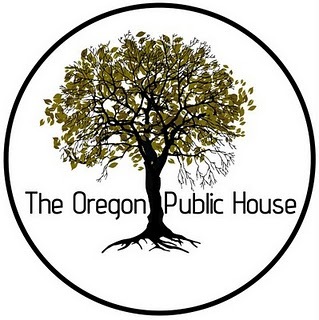 OPH is the country’s first non-profit pub. The business plan is relatively simple; after the lease and other overhead is paid the remainder profit is donated to charities. When patrons pay for their beer or meal, they choose from a list of 8-10 non-profit organizations for which their profit will go to. The pub is basically an ongoing fundraiser. However, the pub is still in the process of development, and that is where I’m trying to help. The Village Ballroom, which is directly above the future OPH, is also a successful non-profit ran by Ryan and Roger. The Ballroom works on the same principles. All proceeds go to the charity of the renter’s choice. As a way to raise funds for the pub without using charity proceeds, Gilgamesh and Porches are hosting a fundraiser on the 15th of April. The fundraiser is meant for the community to be able to help finish their own pub and have fun doing it. We will have 5 beers on tap, food from the Good Neighbor, 3 local bands, and a live auction featuring products and services from Portland store owners. A piece on the event in your publication would be greatly appreciated, and would help the success of the event, and in-turn the charities. Admission is $6, $3 if you fill a growler. The live auction will be held between bands. This is also the first of many shows to be held at the village ballroom. Gilgamesh will host a music event every 3rd Friday of every month. There will be games and a live auction at each show, and profits will go to charity. The Village ballroom holds 300 people and I plan on bringing in larger acts to make the ballroom a musical destination. Thank you for your time and if you have any questions you can call me any time 503 910-3614 or email.